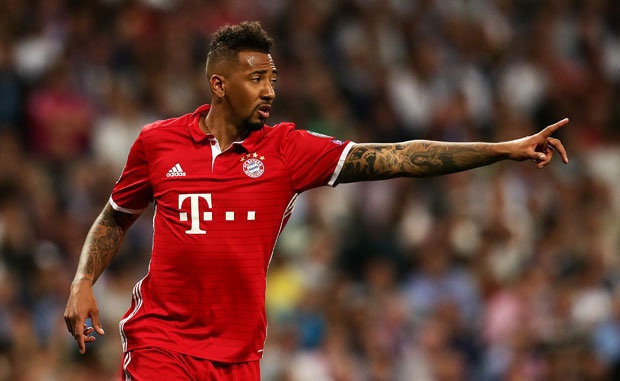 Man Utd could agree deal for Boateng who’s had “thoughts about leaving"
Manchester United could agree a deal with Bayern Munich for Jerome Boateng after chief executive Karl-Heinz Rummenigge told Sport Bild that the defender has “thoughts about leaving Bayern”, reports The Sun. Boateng joined Bayern from Manchester City in 2011 and has gone on to make more than 250 appearances in all competitions, winning six Bundesliga titles, three DFB-Pokals and the Champions League. However, he’s still considering an exit from the Allianz Arena. United manager Jose Mourinho is in the market for a stellar centre-back, as Marcos Rojo and Daley Blind could be on their way out this summer while the inconsistent Victor Lindelof has been linked with a move to Everton and Wolverhampton Wanderers despite only signing 12 months ago. Mourinho could be left with Eric Bailly, Phil Jones and Chris Smalling at the back next season which isn’t strong enough for a side challenging for the Premier League title so a new face could be brought in – Toby Alderweireld (Tottenham), Samuel Umtiti (Barcelona) and Raphael Varane (Real Madrid) have been linked. Boateng could fit the bill perfect given his experience of playing at the top level and having spent a year in the Premier League previously at Manchester City. Rummenigge’s words will fill United full of confidence, as he admitted: “(Boateng’s) thoughts about leaving Bayern still exist, as his agent has told me. We know that this topic might be approaching.